Christina Milian could be dating her daughter’s father’s baby mothers ex husband/babyfather. Or we can phrase it like this… Christina is dating her daughter’s half sibling’s ex-step father? Just weird right. If you don’t get what I’m trying to say, singer/actress Christina Milian was married and had a daughter with rapper/songwriter The Dream. The Dream also has kids with another singer, Nivea. Nivea also has kids by ex-husband rapper Lil Wayne. You get it now? Good. 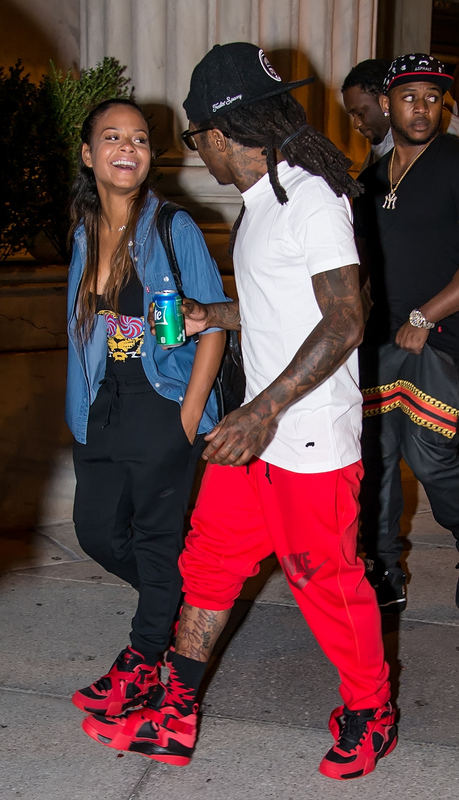 Well Nivea has been ranting on social networks about the possibility that Lil Wayne & Christina Milian are a couple. The two have not confirmed it but check the pics below. ← USC Cornerback Lied About Saving Drowning Nephew To Cover Up Robbery?